We are pleased to report that the US Fish and Wildlife Service (USFWS) has announced that it will extend its ban of "trophy" hunting imports from Zimbabwe. First introduced last year, the ban prohibits Americans from bringing home elephant corpses after hunting and killing these endangered species in Zimbabwe. The USFWS's decision is welcome news to everyone who loves elephants. It comes at a time when Zimbabwe is facing devastating losses among its elephant population, as both illegal poaching and government corruption run rampant. In particular, Zimbabwe has been critiqued for unreliable numbers regarding its current elephant population and dubious wildlife management practices. 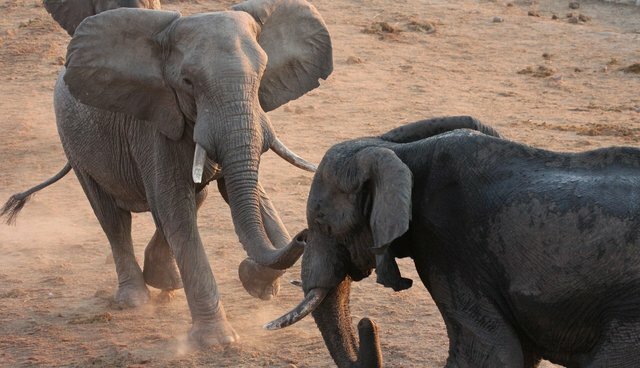 When announcing its decision, the USFWS cited concerns with Zimbabwe's outdated elephant management plans, inadequate population data and questionable enforcement of laws and regulations. As a result, according to the USFWS, "The Service is unable to find that the killing of an elephant whose trophy is intended for import would enhance the survival of the species in the wild." "Elephants are majestic, socially complex, emotional and family orientated beings. As endangered and sentient species, they deserve our protection," said Jen Samuel, president of Elephants DC, a nonprofit working to promote elephant welfare. "Killing elephants is not a 'sport' but rather a faulty tradition based on archaic beliefs. As HLN broadcaster Nancy Grace recently stated, 'Just because it is always been done doesn't mean it should be done. It is wrong. And we need to stop it. I'm ashamed that America has such a desire for the ivory of these beautiful animals.'" Elephants DC commends the USFWS for their decision regarding the elephants in Zimbabwe, and we hope the Service will make a similar announcement for Tanzania soon. Unfortunately, despite public outcry, the USFWS also decided to allow two trophy hunting permits for Namibian black rhinos, a decision we do not support. We hope one day no permits to kill and import endangered species will be allowed. Maintaining the ban on elephant "trophy" imports sends a strong message to the governments of Zimbabwe and Tanzania that their harmful wildlife management practices must change. The ban has been extended; what's next for elephants? The United States and the global community must do more to stop Zimbabwe from kidnapping and exporting baby elephants from the wild. 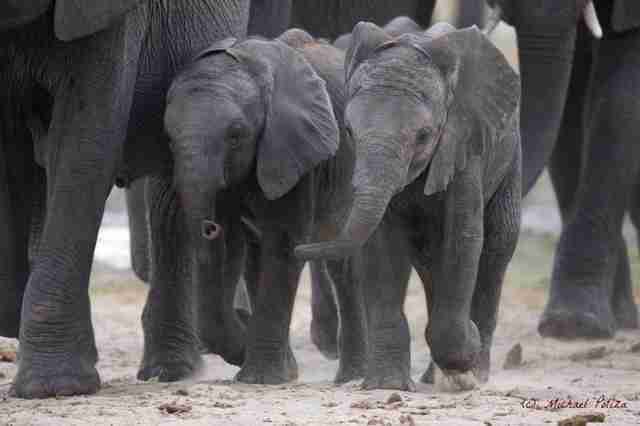 It's been widely reported that the government of Zimbabwe kidnapped 80 wild baby elephants from their mothers for export to China. According to the Global Action Ending Wild Capture, credible sources state that China has ordered a total of 200 elephant calves for display in zoos and use in circuses. These elephants belong in the wild, where they can flourish and help repopulate their numbers. "It is in the best interest of Zimbabwe to release the captive elephant calves, stop back room deals with China for endangered species, and invest capital into its tourism sector so that this iconic nation can once again thrive for the betterment of all," said Samuel. Elephants DC believes that the best way to ramp up protections for elephants is for the international community to agree to name all elephants as endangered species. Specifically, the Convention on International Trade in Endangered Species of Wild Fauna and Flora (CITES) should restore the elephants of Zimbabwe to their previous status of Appendix I, which identifies species who are threatened with extinction. Currently, elephants are all Appendix I, except for the elephants of Botswana, Namibia, Zimbabwe and South Africa, which CITES currently lists as Appendix II. Listing them as Appendix II allows for a level of international trade (such as "trophy" hunting imports) that harms elephants irrevocably. Elephants are being poached faster than they're being born. Wildlife experts agree that elephants could very well be extinct in the wild in as little as 10 to 15 years. And as we previously reported, the current population count of elephants in Zimbabwe can't be trusted. The threat of extinction is real, and it's here. It's in Zimbabwe too, especially with a corrupt government that has proven it values greed and short-term profits over the long-term welfare of its elephant populations. Listing all elephants as Appendix I would make all international trade of elephants illegal (whether it's exporting wild baby elephants or importing "trophies" or ivory products). This will help ensure all ivory trade and live trade of these gentle giants ends globally once and for all. If you're a US citizen, you can help protect elephants by signing this petition to restore all elephants to Appendix I protections. Thank you! Elephants DC will continue to work to advocate on behalf of all elephants until they are safe from poaching, oppressive captivity and impending extinction.